Langcliffe Scar is a great climb in the Yorkshire Dales. If you head north from Settle on the B6479 you will go past the village of Langcliffe. If you take a right here, you will come to a steep climb built into the steep sides of the valley. From the bottom it is steep, almost from the start. It becomes steepest a the mid way point where there is a small hairpin built into the hill to make the climb manageable. After this difficult introduction to the climb, the last half eases off giving a steady climb towards the top of the hill. There are great views and the road is cut in between the limestone rocks. It is quite an atmospheric climb and there are great views in all directions. After climbing, I did a u-turn to take a photo, but I would have liked to have taken more. 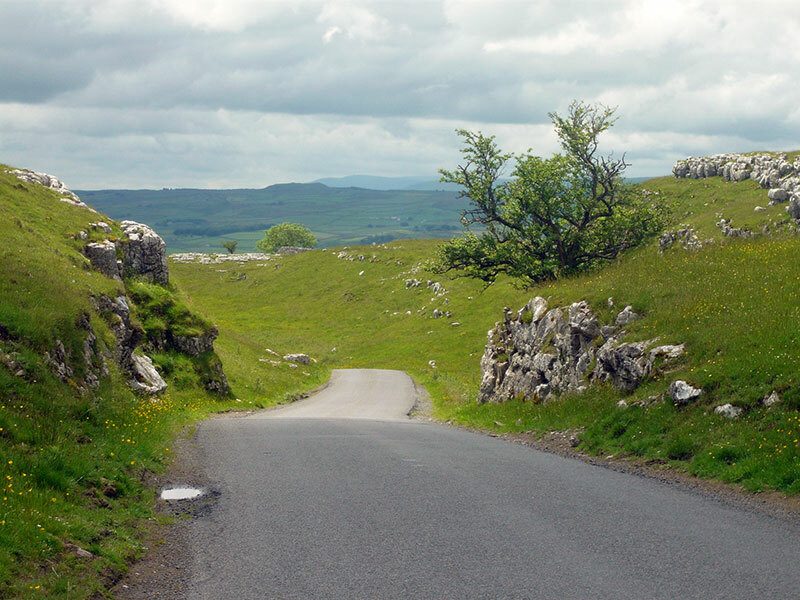 I rode the climb in July – taking in many of the great climbs of this area including Park Rash, Malham Cove, Arncliffe, Black Gill Lane (out of Settle) Langcliffe Scar was climb number four of the day. It was a good climb with relatively little traffic. If you’re lucky you can get a strong south westerley to give a little assistance up the climb.